This book is sweeping in its coverage, but easily read. With a subtitle “From Supernaturalism to Naturalism” this book obviously covers a breathtaking view of the human mind’s evolution. It’s well over 400 pages long and has 35 pages of references. It could be intimidating but it is not. Far from it. This is not a dry academic tome. The writing style is economical but clear. Also, each of the 26 chapters is broken into brief sections rarely more than a few page long. The reader has no time to get bored or distracted from the content. Carneiro’s description of the early stages of human thought must be, to some extent, speculative. However, as an anthropologist he can draw on the studies of existing and recent primitive cultures. Price: € 39.90 EUR [D]; US$58.00; NZ$109.00. 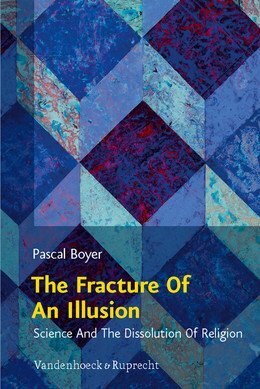 It’s a version of lectures given by Pascal Boyer at the Universities of Frankfurt and Gießen, in May 2008 (as part of the Templeton Research Lectures on science and religion). Boyer explains that “being lectures, these were delivered in the form of sermons – that is, in this case, with greater emphasis on argument than evidence.” Descriptions of experimental studies are minimal but each chapter is well-referenced and there is a 7-page bibliography. This has the advantage of providing an authoritative overview and access to the literature in a short book (112 pages in total, including a 5-page afterword or critique of the lectures by theologians Elisabeth Gräb-Schmidt and Wolfgang Achtner).